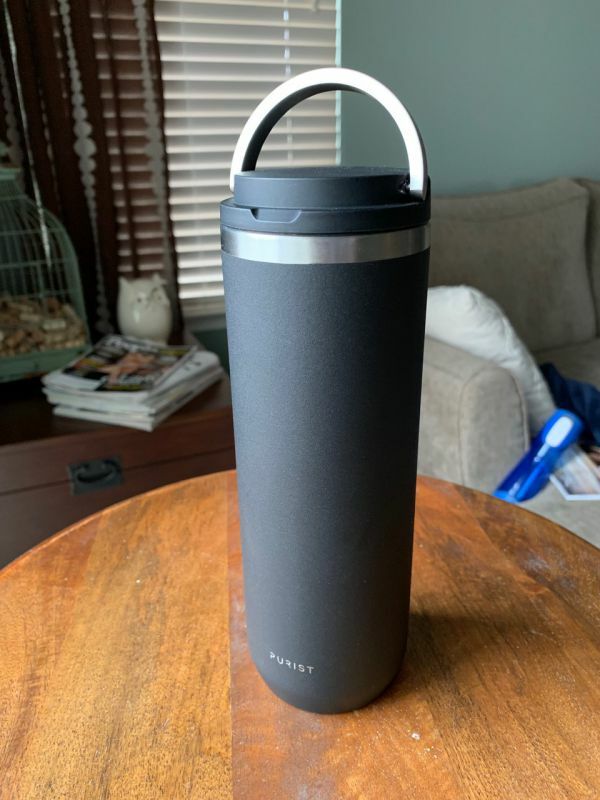 REVIEW – I drink coffee every morning on the way to work and while I’m at work. Given this, it’s important to me that a thermal bottle do two things well: maintain temperature and not leak. The Purist Mover, 18-ounce bottle does both of these things well quite well. The Mover is one of three bottles available from the Purist. The other two, the Maker and the Founder, are smaller (10oz.) and larger (32oz.) respectively. Each bottle features a self-cleaning glass lined interior that’s designed to not retain odors. You can also choose from three muted colors such as gray, beige or, as in the case of the one that I received, black, or one that’s unfinished. 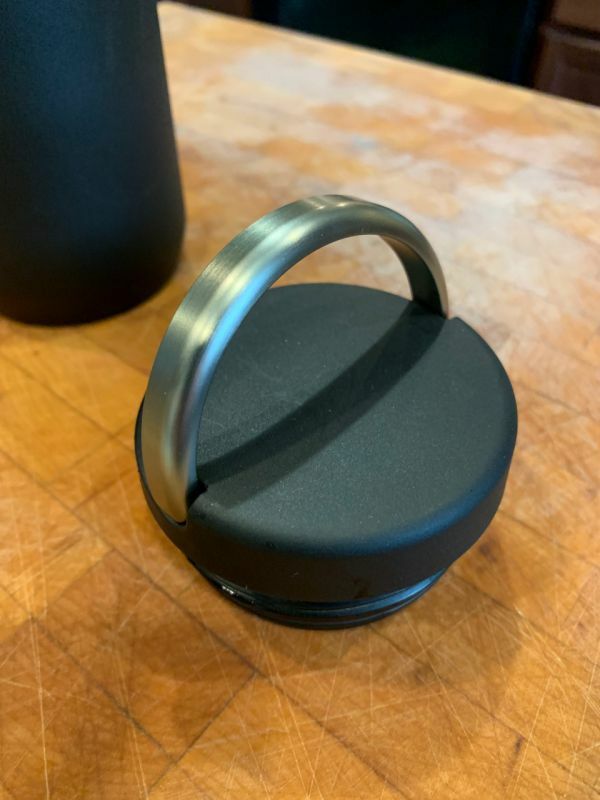 No matter what bottle you chose a selection of three types of lids are available: one that allows for sipping coffee and other hot beverages, and another more suited to drinking water. The Mover feels well built and has a nice heft to it. The outside coating is slightly textured and provides a good gripping surface when held. The lid screws on tightly and the integrated handle allows you to hook your fingers through it for carrying or use a clip to hang it off your bag. The wide mouth and minimal threading make the Mover a great bottle to drink from directly. 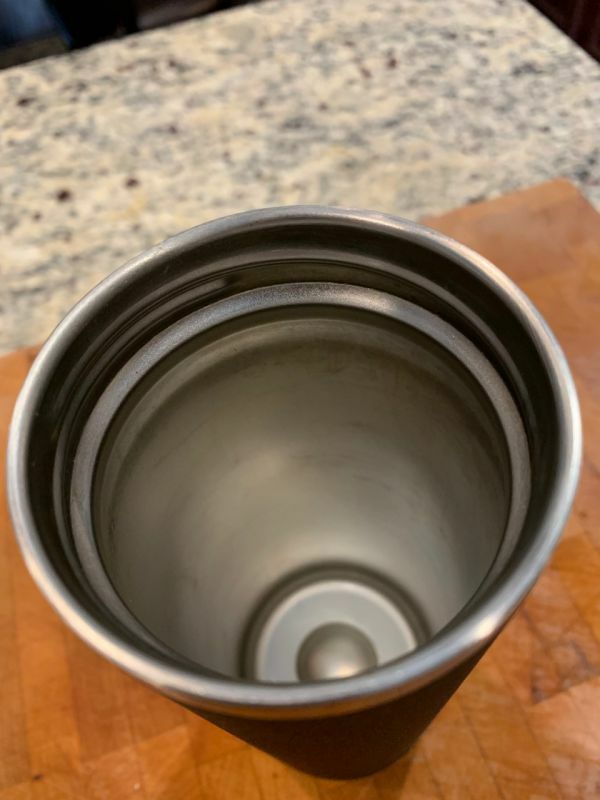 It’s a cup/mug-like as a thermal bottle could be. The issue I have with the lid is that there is no way to drink from the bottle unless it is completely removed. As I like to drink on my way to work, this makes it all but impossible. The other lid designed for sipping would probably help with this, although it isn’t available as of this writing. In order to see how well the Mover held temperature, I filled it with 204-degree water, screwed on the lid and then checked it every two hours over an 8 hour period to monitor the temperature drop. On average, the Mover lost 20 degrees per two-hour block. This was slow enough to keep the water (or coffee) pleasantly warm after eight hours. I also carried the Mover to and from work every day for a week. I stored it inside my backpack and didn’t experience any leaking. The finish held up well after being knocked around with the rest of the stuff in my bag. After a week I switched out coffee for water and used it around the house. No previous odors or taste from the coffee were detected. I would note, however, that the bottom of the lid is plastic and I could still smell a bit of coffee on it even after rinsing it in the sink. This did not impact the flavor of the water. The Mover is a well-made bottle that feels solid and has good thermal retention properties. Having a lid that would allow you to drink directly from the Mover would be a great addition. 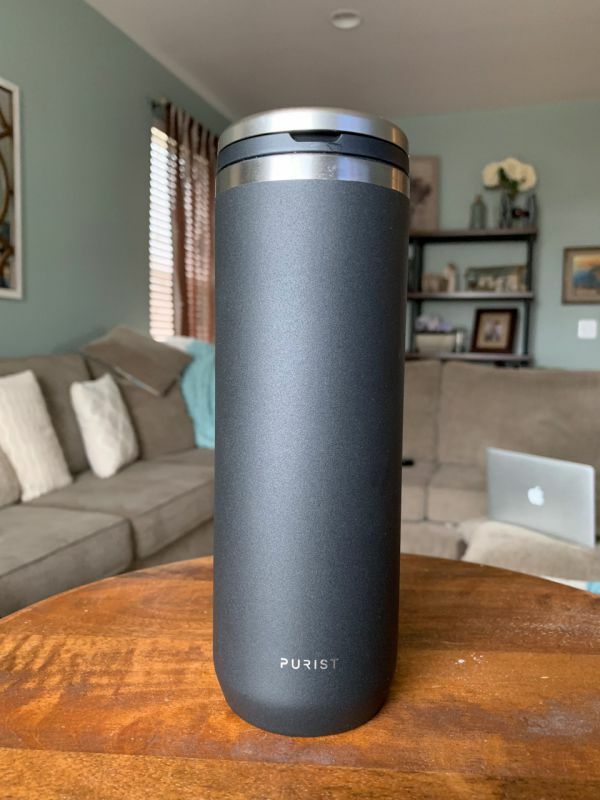 Source: The sample of this product was provided by Purist.